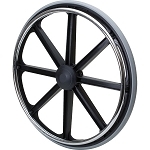 8 Spoke Mag Wheel - 20 x 1 3/8"
20 x 1 3/8" mag wheel with 8 spokes fits 7/16 axle (not included) and pushrims. Flush hub with 2.4" hub width. 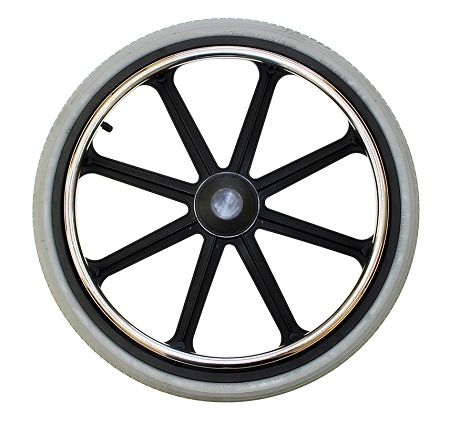 Choose an Pneumatic Street Tire or a solid Urethane Round Tire.